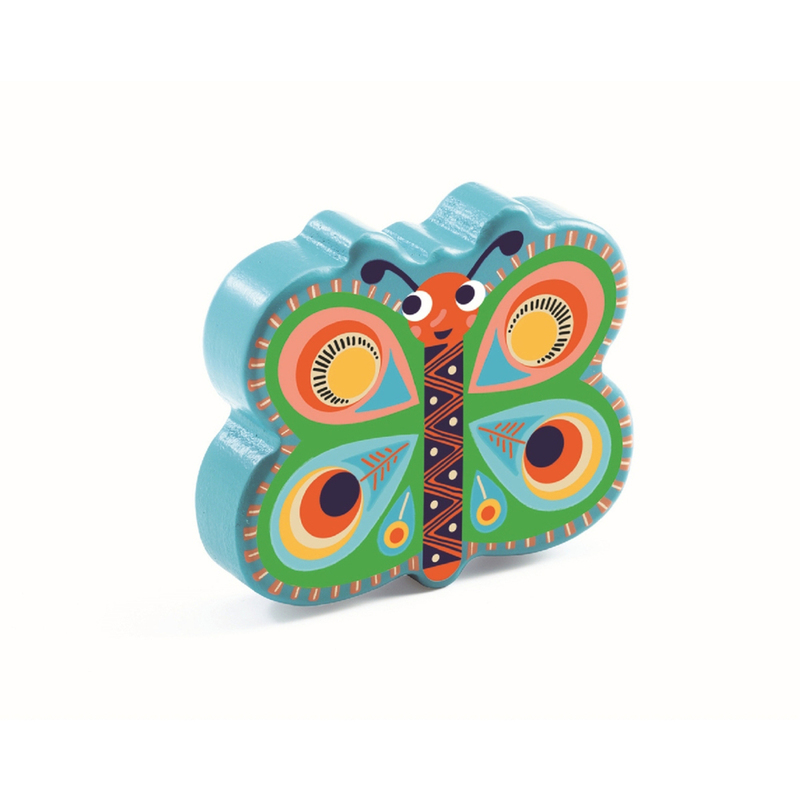 The beautifully designed Animambo Maracas Butterfly by Djeco is brightly painted with a festive South American theme. This single maraca rattle is perfectly shaped for little hands. Painted in vibrant colours, this wooden butterfly maraca makes a lovely gentle sound when shaken.